I'm 16 17 18-years old and from Germany. I've known about this site for about 2-3 years before I registered and I just registered because I felt like sharing my tool. I also never really intended to be active on here when I registered but eh it's a cool community I'll take it. I'm not working on anything specific at the moment sometimes doing requests from the asm request thread though (But since school started again there probably won't be much from me either). The reason why I registered in the first place. 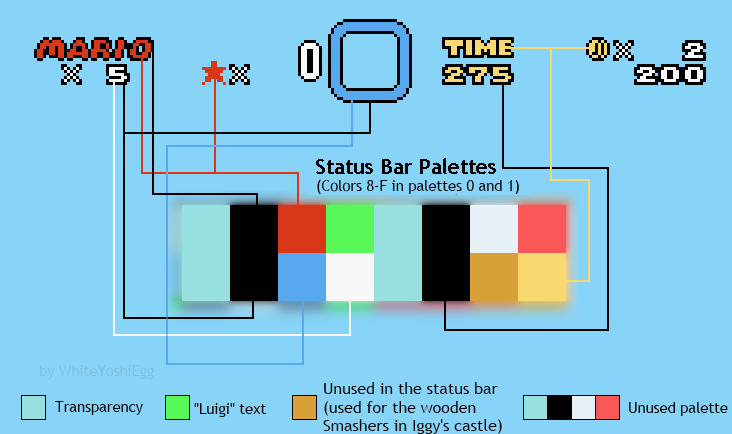 Basically a tool that makes editing the Mario/Luigi start patch easier. Also fixes a small issue that the original patch had. Blocks that will extend/retract when the player jumps. This tool makes it easier to create custom toolbars for Lunar Magic. It handles icons, keyboard shortcuts, tooltips and settings for you. Here is a full list of things I submitted to the sections. YouTube - Mostly SMW related stuff. Either unoptimized TASes, breaks in puzzle hacks or previews of things I made. Also IWBTG Avoidances.